In a global context, 2016 was the year when the power grab in the boardroom of the beer gods reached a crescendo. That the world’s biggest beer company, AB InBev, devoured the second biggest, SABMiller, is not entirely astonishing. That the new company is, by some estimates, responsible for making one out of every three beers produced on the planet is. While that is undoubtedly impressive on someone’s bottom line, here we're more interested in what you’re drinking than how much; surely one brewery full of good beer is better than a country full of crap. Thankfully, for all the challenges faced by local, independent brewers in Australia, for the most part we're seeing more of them producing good beers now and, as the year draws to a close, we've assembled panels to compile the very best of those into best of lists from each Australian state and ACT. Today, we look at New South Wales where, if the monoliths and monopolists were looking to steer their shopping trolleys, they might want to head to industrial estates in Wollongong, an old laundromat in Enmore, the new coalface in the heart of Newcastle and Byron Bay, where the Bohemian spirit is most alive. So, here’s to the little guys of New South Wales and what we believe are the best beers they released this year. NB William pulled out of the gathering at the last minute as he got a bit nervous with several thousand thirsty people about to turn up at his door for the first major events at the new Convention Centre, but sent through his picks and notes for inclusion. The method of selecting the best beers began, as does every truly scientific exercise, with panelists writing down their top picks on Post-It notes. The beers with the most multiple votes went through to form the shortlist and each remaining beer was discussed on its merits. In order to ensure a broader spread of breweries, where a brewery had multiple beers only one was chosen to represent it. 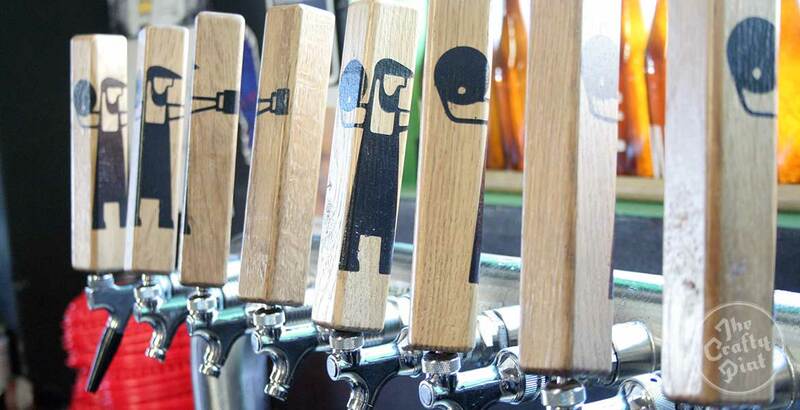 There were two exceptions where the panel was split so the brewery itself was included for a series of new releases. There was also one brewery that received votes but is currently on hiatus and doesn't like publicity so was omitted from deliberations. This year the long list of beers put forward comprised the widest ranging and most numerous selection to date. 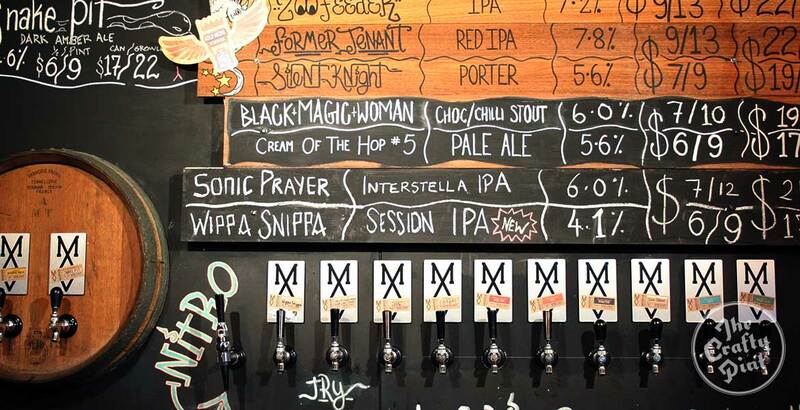 While that may be utterly unsurprising given the expanding nature of the NSW craft beer scene and the prolific nature of its brewers – one brewery featured below released at least 70 new beers this year – it does make selecting the top few a genuinely head scratching exercise. When Mountain Goat was sold to Asahi last year, Tom Delmont was crestfallen. At the time, he was the brewery’s longest serving rep*, a veritable face of the company – the only rep to have had his feature on a beer – and one of Melbourne’s most loved beer people. But more troubling, given the situation, was the fact that he has been a vociferous believer of the importance of independence in beer. The signing away of Goat’s sovereignty effectively meant the dream he was living would die the moment the ink dried. However, little did he know that fate already had an arm around his shoulder and was guiding him in a new direction. About two weeks prior to Goat's announcement, Tom was on holiday in Byron Bay and paid a visit to the Stone & Wood brewery looking to pick up a case of beer. Having, somehow, gotten lost on the way to the cellar door, he wandered into an office where two of Stone & Wood’s founders were working. They took time to chat – about beer, trends and the general state of play – then Tom left with his beer. Soon afterwards, as he continued his family holiday on a beach to the south, the news that shook the beer world landed and the full serendipity and symbolism of that day in Byron started to unwind. It turned out that Stone & Wood, on the back of its founders’ recent trip to the USA, had been pondering a new side project dedicated solely to producing and promoting fresh IPAs, a popular style of beer that had never played much of a part in their main business. That Tom, one of Australia’s most seasoned craft beer reps and one of its most fanatical consumers of West Coast IPAs, would soon be looking for employment with an independent brewery was timing almost too good to be true. In a matter of weeks, he was back in Byron Bay as the face of Fixation Brewing and adding the hops for its first beer: Fixation IPA. The beer is a recreation of a West Coast IPA, built for drinking fresh. At 6.4 precent ABV, it is comparatively light for the style but the noise it makes belies that weight with a huge fruity aroma and flavours of tropical fruit, grapefruit and pine. As you'd expect when you have the hit-making Stone & Wood brewing team as your backing band, it is an impeccably tight and well balanced beer. The panel certainly though so anyway, with Fixation IPA earning top spot on this list as the only unanimous pick, chosen independently by every panel member. What might have seemed an unlikely prospect a year ago is now helping set the standard for local IPAs. It seems that some things are just meant to be. The word Akasha is, apparently, a Sanskrit word meaning "The Fifth Element", essentially a mystical component beyond the core pillars of earth, fire, wind and water that helps hold everything together. 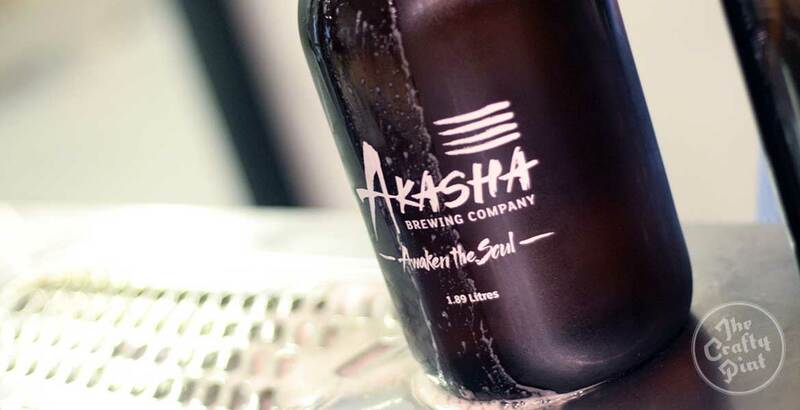 Those familiar with the origins of the Akasha Brewing Company will know that the name was chosen because it represents Dave Padden. As the head brewer, Dave is charged with bringing a certain something that pulls beer’s four elements – malt, water, yeast and hops – together to create harmony and construct something greater than the sum of its parts. This is something he has proven well capable of since he first burst forth with the Riverside Brewing Company, lobbing delicately balanced hop bombs into an unsuspecting Sydney beer scene. The Fifth Element is also, of course, a film. As best as can be recalled from a 1997 viewing, it is set somewhere in a distant post-Abbott future where the boats have clearly not been stopped and immigration extends across planets to all manner of weird and wonderful beings. Bruce Willis plays a taxi driver trying to deliver The Fifth Element, a lithe, orange haired Milla Jovovich, to some sort of ancient temple to bring about harmony in the universe and, presumably, prevent something very bad from happening. The character and saviour he plays is called Korben Dallas. What we have here, then, are several elements of fifth elements – Akasha, Dave, Bruce Willis – coming together to form Korben D’s eponymous beer. To be perfectly frank, threading all these things together is a fun but awfully convoluted and largely immaterial backstory to what is a fabulous beer. At 8.5 percent ABV, this double IPA is necessarily robust but Dave’s gift is for balance and being able to hide the alcohol through a judicious use of malt and a display of all American hops that give punchy flavours and aromas of tropical fruit, citrus and pine. It very much sits in the "fresh is best" category so is brewed only four times a year, leaving enough time in between brews to get people thirsty for the next round and ensuring it gets snapped up in optimum drinking condition. This is the third straight year in which a Dave Padden IPA has appeared on a Crafty Pint "Best Of NSW" list. Whether or not he is truly the fifth element is a moot point. It is at least clear that, when it comes to hops, the man is a master. On the face of it, a light lager infused with fruit is an unlikely sort of beer to appear from a craft brewery, more something you'd expect to find in a clear bottle from a corporate brewer after they’ve dusted off their 1950s copy of How To Market Beer To Girls ahead of another ill-fated attempt at appealing to the modern consumer. Yet here we are, with a bunch of certified craft beer lovers placing Grifter’s watermelon pilsner near the top of the pile in 2016. This was the year we got to see the real Grifter Brewing Company. It’s not that they’d ever hidden anything during their previous three years of gypsy brewing. It’s just that you can really show your best side when you’re able to welcome people into your own home. And what a beautiful home they built, perhaps best summed up in our Inner West Brewery Crawl piece which suggested it looks like the set of a movie in a sound stage. 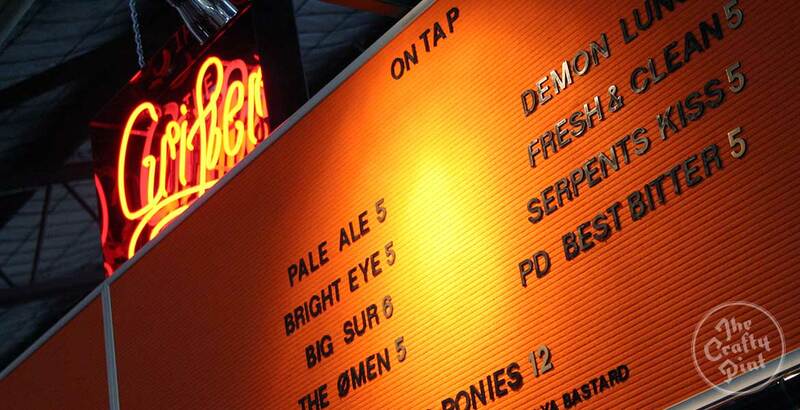 Being in Enmore, Grifter is in the epicentre of Sydney’s craft beer scene, yet they seem to fly under the radar. 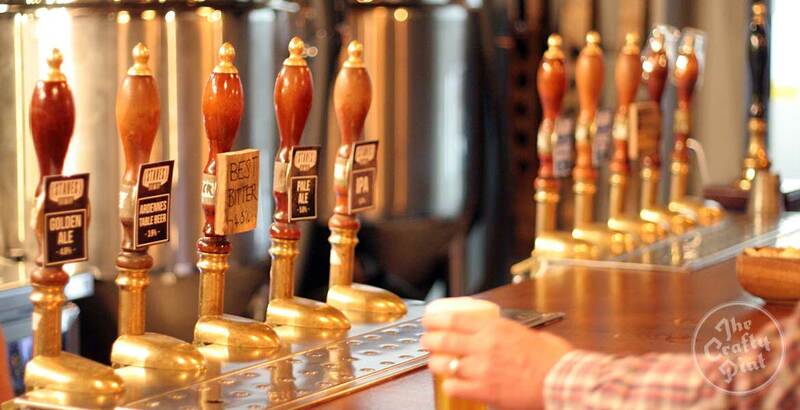 You're more likely to find their beer in understated boozers than specialist craft beer venues. They participate in relatively few events and festivals. When they first launched, their buzz was created through the word of mouth of an extensive network of friends and it’s much the same now, except they have a bar so they have a lot more friends. 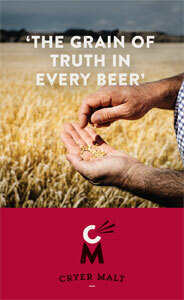 But underpinning everything has always been the beer. 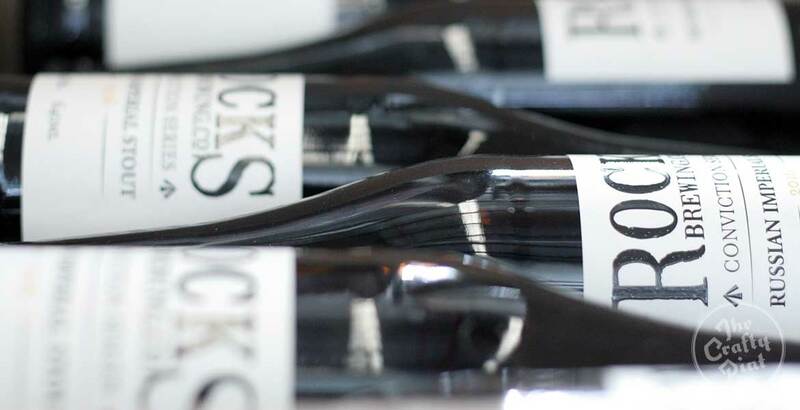 Always solid and seldom hyped, they don’t go for funky stuff like barrel ageing or blending but they’re prepared to pull out a few tricks when they're needed. Such is the case for Serpent’s Kiss. 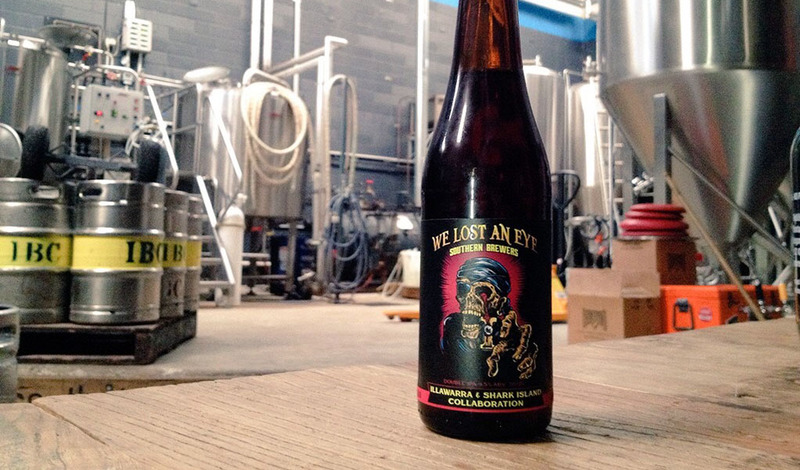 Technically the beer belongs to 2015, when it was released as a one-off small batch with, and for, the folks at Sydney’s legendary late night rock and roll dive bar, Frankie's. But, for most intents and purposes, it is a beer of this year, fully hitting its stride when they brought it out for wider consumption in January. The height of summer made sense: its classic clean and crisp pilsner characters pair perfectly with the lively fruity characters brought out by the addition of fresh watermelon. It’s a beer that’s proven immensely popular at the brewery and voracious demand has forced its repeated return to the taps, much to the brewers’ chagrin considering the field’s worth of watermelons they need to slice each time it's brewed. Hopefully a little extra recognition here will go some way to making all that slicing and dicing seem worthwhile. It’s probably fair to say few people expected this from Rocks. While it’s certainly true the Alexandria brewery has branched out considerably in the past year or so, exploring barrels, Brettanomyces and Belgian yeasts, this is a brewer most people know for crowd friendly beers like the Hangman pale ale and Governor golden ale. Perhaps that’s the thing: when your wider reputation has been so closely wedded to a pale ale, few will expect it when you hit them with a near 11 percent ABV Russian imperial stout. Well… surprise! And a most welcome one it was. The genesis of the beer goes back a few years to when Rocks brewer Matty Cuthbert decided to cook up a small trial batch of a Russian imperial stout. The brewers popped out for lunch, half forgetting about what they’d left on the boil, and returned to something resembling thick, black, molten goop. It became a legendary beer among the brew crew who nicknamed the 12.5 percent ABV brute “Ivan The Terrible”. Fast forward to this year and Matt was charged with developing the 2016 RIS brew (the previous, and first, vintage was overseen by head brewer Scotty Morgan and a visiting brewer from the USA’s Reformation Brewing) so he seized the opportunity to dig into Ivan’s secret recipe. They are not exactly the same beer, but there is more than enough in the 2016 version to provide an idea as to why the brewers regarded the original batch so highly. As it transpired, some very experienced palates reckoned there was plenty in here too, giving it a gold medal at the Craft Beer Awards. Such strong beers often require a bit of time to come into their own but Rocks’ RIS was good to go from the get-go, the smooth combination of sweet, chocolate and roast characters making it an immediate and robust antidote to the winter cold that surrounded its July release. That said, it’s something that will provide good company through the next winter and beyond, so the next time you go to grab a pack of Hangman perhaps take a quick glance across the shelves to see whether there’s still a bottle of RIS lurking in the shadows. Just prior to Christmas 2015, the residents of Wollongong got a lovely gift in the form of a second brewery. It was called Five Barrel Brewing and it was more or less a one man show, with Phil O’Shea playing every part. Armed with a 600 litre brewhouse (a volume roughly equivalent to five US beer barrels), he produces beers that, for the most part, don’t err too far from style guidelines. It’s a sensible option in a city like Wollongong that’s not exactly known for its booming beer culture, but it certainly helps no end that the beer is solid across the board. That said, the two beers that ended up in the panelists’ debate chamber were at the nerdier end of the spectrum: a Double IPA and Hoppy Amber. It was the latter that got the nod, its big, US hopped nature doing a spot of IPA mimicry coupled with a thicker, sweeter and juicier malt body. When two of The Crafty Pint team took a tour through the Five Barrel range at the tasting bar during the year, in the spirit of sharing and general politeness, everything was sipped in moderation. All except the Hoppy Amber which disappeared in two selfish gulps apiece. With a little help from his dad, Phil toiled mightily, in a "working eight days a week" sense, to get this brewery off the ground. A year on, he has a little bit of barrel ageing under his belt – highlights so far being a Chardonnay barrel aged golden ale and Shiraz barrel aged imperial stout – and the title of Sydney Craft Beer Week’s Best New Sydney Brewery in his pocket. His beers are growing in demand – even from local haunts not renowned for craft beer in any sense – and he's edging towards the limits of how much beer the brewery can produce in its current form. 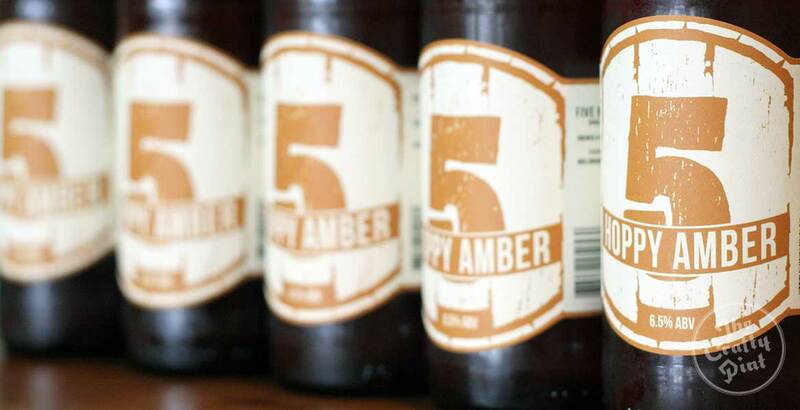 Whatever comes next for Five Barrel – whether it’s more tanks, attracting more punters to the brewery or simply being satisfied and staying the same – it’s a success story that deserves to be toasted. Ideally with a Hoppy Amber. Around the middle of the year, the Illawarra Brewing Company and Shark Island hatched a plan to better bridge the gap between their respective homes in Wollongong and The Shire. 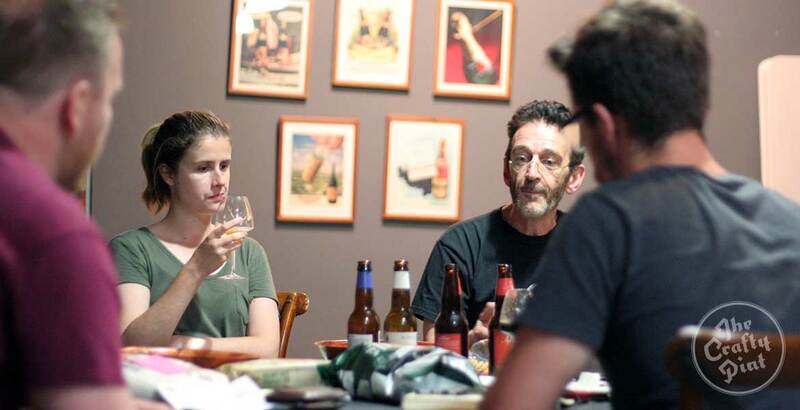 Under the banner "Southern Brewers", the pair launched a partnership that would allow them to work together more closely and share resources – spare tanks, packaging, festival space – to help them make a bit more noise about locally produced beer in their respective catchments south of Sydney. To consummate this new arrangement, the brewers collaborated on a new beer. And it turned out to be a very large one, holding the honour of having the most substantial grain bill ever packed into the Illawarra brewhouse. The beer they were shooting for was a triple IPA but they felt, on balance, that they came up a bit short, thus the IIIPA lost an "I". But, one vowel aside, We Lost An Eye lacked for nothing. The now double IPA was a big, chewy beast of a beer that, for something that clocked in at 9.5 percent ABV, was frighteningly drinkable and required careful restraint; the transition from a feeling of making love to one of being fucked was swift with this one. An institution and craft beer oasis for so long on the south coast, it’s heartening to know the Illawarra Brewing Company is still pulling out big guns while, after several quietly impressive beers in some understated styles, 2017 ought to be a big one for Shark Island as it sees them come full circle, from a crippling journey that put them on the brink to the point where they’re able to bare their teeth of their own brewery. It’s no secret that Shawn Sherlock likes big and bold beers. During his time as the head brewer at Murray’s, several of the brewery’s most anticipated, most highly rated and generally most beloved beers were his annual imperial stouts; as an indication of the territory these beers occupy, consider the case of one legendary winter dinner he hosted in Manly at which guests were welcomed with a 2.5 percent ABV IPA while being informed the average ABV over the evening – including the IPA – was around ten percent. With that in mind, it’s probably fair to say that since Shawn opened the FogHorn Brewhouse, his brewpub in the heart of Newcastle, those are the kinds of beers many of his fans will have been hoping he’d get around to making. This year, they got it, and in some style. 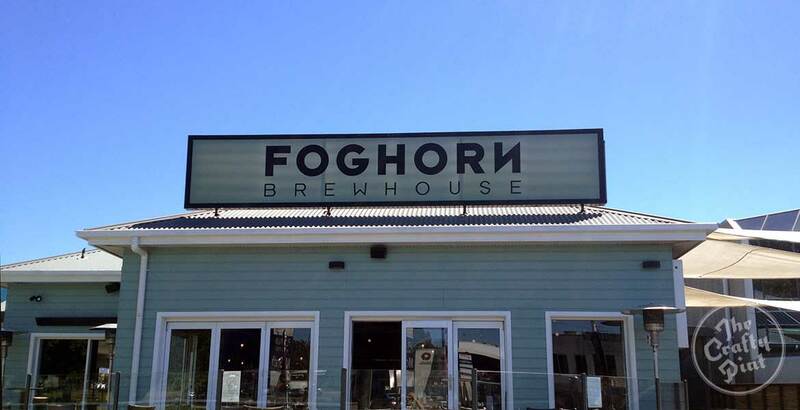 Ordinarily, this beer might not have made this list, however, because FogHorn’s beers are available almost exclusively at the brewpub or its second venue in Erina on the Central Coast (pictured above). No Sleep 'Til Nelson was a beer brewed for the GABS festival so was the first FogHorn beer, other than those we secured for the Regional NSW Pint of Origin venue that same week, to be put in front of drinkers in Melbourne and Sydney. And some introduction that was for the masses: a full on malt assault by way of dark chocolate, smoke, roast and espresso characters alongside a new hop variety called Brooklyn (now renamed Moutere), grown near the New Zealand town of Nelson. This was an imperial stout as rich, smooth and decadent as those familiar with Shawn’s previous work could have hoped for and, in a GABS field where no flavour is left unexplored, stood out as a brutal and beautiful work of art. While the Beastie Boys-inspired No Sleep 'Til Nelson was the favourite of the panel, a more than honourable mention also goes to another musically inspired (though not quite so strong) FogHorn beer in the form of Young Americans IPA, a beer as fruity and flamboyant as Bowie himself. Modus Operandi has won much of its reputation – not to mention a pile of awards – on the back of hoppy beers like Modus Pale, Former Tenant, Sonic Prayer* and Zoo Feeder, the last of which was retired this year and left many broken hearts in its wake. But 2016 showed, certainly more than previous years, that there’s much more at play in Mona Vale, particularly when it came to slightly off-kilter dark beers. And it was those, as a collection rather than a single standout, that most impressed panellists this year across the board and helped Modus gain the most individual votes of any one brewery. First was Escobar, an oatmeal stout made both tannic and euphoric though the addition of Yerba Mate, a stimulant derived from the leaves of a South American tree. Next came their GABS entry, Black Magic Woman, a cocoa, coffee and vanilla stout with enough chilli to make it immensely and divisively spicy (one panelist said it made them cry). Then there was the lush, sweet and smooth Caribbean Queen, arriving in time for the brewery’s birthday amid a carnival of coconut and chocolate. Throw in a few other gems like the Haver oatmeal IPA and Kiwi Kerfuffles In Brussels saison and the full set of new beers coming out of Modus Operandi reinforced the noise around town that suggests it’s more than just the panellists rating them as one of Sydney’s finest and most consistent breweries. *Sonic Prayer was nominated by several panelists but was not considered as it was a 2015 release. That it was only recently made part of the permanent range and packaged in cans was the cause of confusion. When the Batch Brewing Company first launched, its main schtick was brewing for their local market. More specifically, that meant for people and bars in their home suburb of Marrickville, and perhaps a few beyond. 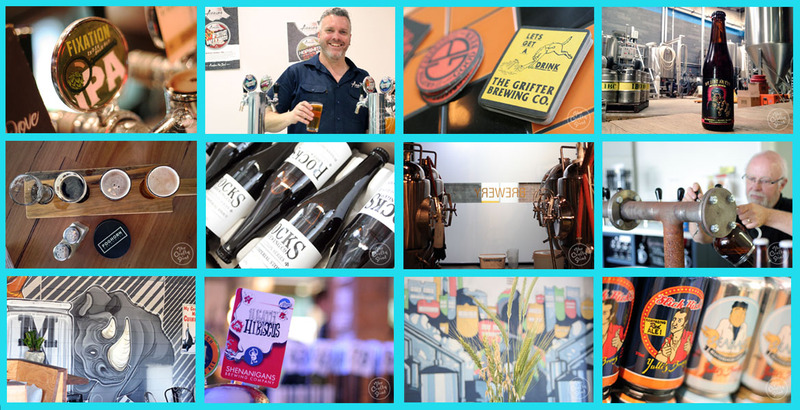 Since doubling their capacity earlier in the year, the definition of "local" extended to wider Sydney but, by most measures, that’s still not very far and sticks with their core ethos – it’s also the main reason you’ll very rarely find Batch beer outside Sydney. Combined with this local spirit is a degree of prolificacy not matched by many Aussie brewers: 2016 saw them release, on average, more than one new beer a week, every week of the year. That means unless you live nearby or actually work in the place (which one panellist does on occasion, so removed themselves from discussion) it’s nigh on impossible to try every beer. So it was that Batch received plenty of votes but little consensus. By virtue of that, panelists agreed that the brewery itself deserved praise for the breadth, freshness and overall quality they deliver. Beers of particular note were a US IPA (Juicy As Phuck), bière de garde (La Moustache) and two sour ales (Dr Somes' Lemon Elixir and 2 Peach Shakur – these guys have a well of hip hop puns deeper than their recipe pool, which is saying something). Adding to the beers was an appreciation of some little touches: date stamping their bottled beers so customers don’t have to second guess freshness; getting rid of the hipster era mason jars in their tasting room and replacing them with proper beer tulips; and being prepared to dump a batch of beer that they reckon was drinkable but didn't hit the mark in terms of quality – and acknowledging that publicly. In order for craft brewers to continue carving out space in the market, there is a certain inevitability to more breweries following the example Batch and other brewers across the country are taking in regards to identifying issues in the industry like quality and freshness and tackling them head on. Or, as they might say in Marrickville: 99 problems but Batch ain’t one. The tiny Glebe brewpub (pictured above) fired up its brewhouse for the first time in October and launched with a range that was thoroughly enjoyable from start to finish, which is to say the Ardennes table beer to the black Belgian IIPA and anything in between. The brewing offshoot of the legendary Surry Hills vegetarian restaurant of the same name, Yulli’s expanded in 2016 via a wildly diverse and well constructed cast of characters, from simple lagers through a Port barrel aged imperial stout to fruit-infused Berliner Weisse. This year saw Stockade flip the script on what many believe a contract brewer to be. Their main business, BrewPack, produces many of the generic golden and pale ales you’ll see on supermarket-owned liquor store shelves, as well as some award-winning beers bearing other brewing company's names, but under the graphic labels of their own Stockade brand they sprung several surprises, including a chilli mocha pale stout, peach gose and smoked jalapeño porter. Look out for the rest of Australia to follow before the year is out. And if you fancy heading back in time, here's our top ten from NSW in 2015. * The article originally said "longest serving employee" but the venue manager had been there a year longer so this has now been updated. 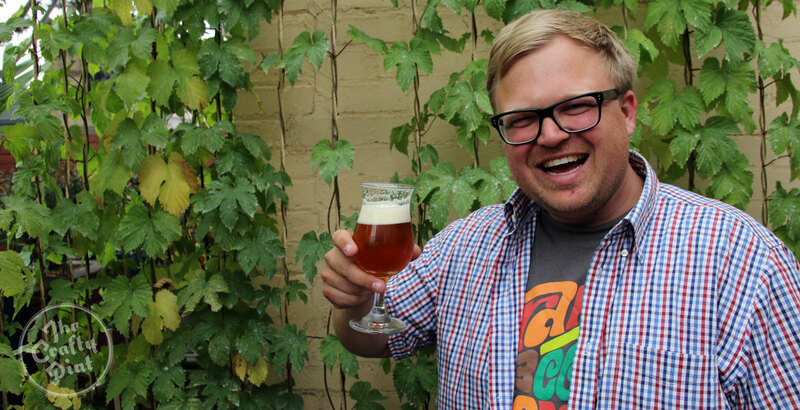 About the author: Nick Oscilowski lives on the South Coast of New South Wales and writes about beer. He has nothing to complain about.